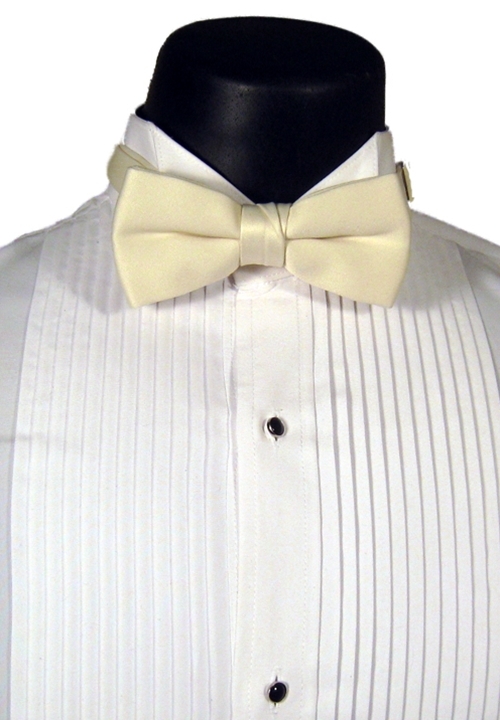 The Classic Collection ivory bow tie is the perfect compliment to ivory formalwear. Fashioned from polyester, this tie features a pre-tied bow, an adjustable band, and hook closure. If ivory formalwear is for you, this tie will bring an extra layer of sophistication to your look.